Registered nurse certification in Massachusetts enhances the skills, knowledge, and capabilities of a nurse and makes them the most vital part of the team of health care professionals. The certification in the state is issued by the Professional Credential Services, which aims to improve the well being of the residents by offering them easy access to health care services, promoting the physical condition and quality of life. Pay the application fee via credit card or money order made payable to the “PCS.” Personal checks will not be accepted. Provide U.S. Social Security Number (SSN). TOEFL (Test of English as a Foreign Language): minimum passing scores of 560 in Paper Administration, 220 in computer-based and 83 in internet-based TOEFL. CGFNS (Commission on Graduates of Foreign Nursing Schools): Qualifying Examination Certificate issued prior to 7/15/98. PTE Academic (Pearson Test of English Academic): minimum overall scores of 55 with no individual section below 50. IELTS (International English Language Testing System): with overall band score of 6.5 with a minimum of 6 in all modules. CELBAN (Canadian English Language Benchmark Assessment for Nurses): minimum passing scores of CLB 8 in speaking, CLB 9 in listening, CLB 8 in reading, and CLB 7 in writing. Verify graduation status from the administrators of your nursing program situated in the United States or its territories. Some requirements (I-III) are similar to those mentioned above for licensure by examination. Obtain passing scores either in NCLEX (National Council Licensure Examination) exam or SBTPE (State Board Test Pool Examination) exam. If you took the State Board examination in Puerto Rico, then you are not eligible for Massachusetts licensure by reciprocity. Only if you are licensed by giving NCLEX-RN exam, then you can apply for licensure. Attach a 2” x 2” passport-size photograph. Provide verification of all RN licensure in all jurisdictions where you are currently or have ever been certified. You may use www.nursys.com where your license will be posted on the Nursys website for 90 days after paying the required fee. If your state of licensure does not use Nursys License Verification System, then complete the authorization portion of “Verification of Nurse Licensure by Reciprocity” form. Send the “Verification of Nurse Licensure by Reciprocity” form and fees directly to your nursing Board in that country or jurisdiction. Request that respective board to complete and mail it directly to PCS. Score greater than 400 on the CNATS Comprehensive examination between August 1, 1980 and August 1, 1995. You will not be considered eligible for reciprocity, if you have passed CNATS after August 1, 1995. If you have completed your graduation in a nursing program whose language of education is other than English or took the CNATS Comprehensive Examination or CNATS Examination in French, then you must submit proof of English proficiency. Complete graduation from a Board approved nursing education program. If your education was in any other language than English, then you are required to demonstrate English proficiency. Enclose the non-transferable, non-refundable processing fee of $50 to the PCS (Professional Credentialing Services). CGFNS CES (Credentials Evaluation Services) Professional Report, which must include both the Science and Nursing license or registration validation option and course-by-course report, embossed with CGFNS or a CES Report posted at the CGFNS website so that the PCS can access from the website. Fill the Applicant Information section of the “Verification of Nurse Licensure by Canadian Province or Territory,” and send it to licensing authority in all Canadian territories or/and state where you presently hold certification or have ever been licensed as an RN. Demonstrate English Proficiency (if applicable). (Refer point number III of requirements to obtain RN license by examination). After submitting all the above documents, the Board will process them. If you are found eligible, you will be notified by the PCS and an Application for Initial Licensure as a Nurse by Examination with the instruction packet will be provided. Complete the licensure application. You must also provide your Social Security Number. All requirements are same as mentioned above (Canadian graduates) except the point number IV. Step 2: Thoroughly read all the instructions mentioned in the form prior filling it. Select “Register” option after opening the above link. The registration fee can be paid via MasterCard, or Visa Card. 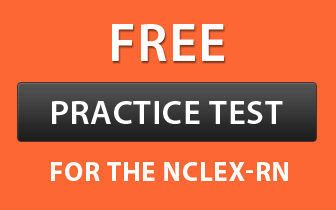 Step 5: Download the NCLEX Candidate Bulletin, which essentially gives all the detailed information regarding testing procedures and the test content. Step 6: After submission of your completed licensure application by examination and fee to the Board and registering and paying fee with the testing vendor, Pearson VUE, you will receive an Authorization to Test (ATT) in about two business days via e-mail provided by you during registration process. Step 7: After receiving ATT, schedule the exam via telephone or online within 60 calendar days. Step 8: You will receive official results by U.S. Mail from PCS in approximately 10 business days subsequent to taking the NCLEX. Step 9: You may view your license number on the Board’s website in around five business days subsequent to passing the NCLEX. The applicants applying for Massachusetts licensure by reciprocity are required to follow the below procedure. Read the instructions mentioned in the form. PCS will review your licensure application and verification and check the completeness and correctness within three business days of receipt. If the documents are incomplete, you will be notified of all the differences via mail or email. Instantaneously, PCS will also submit information to Massachusetts Board electronically. The license numbers will be posted within 24 hours (1 business day) of approval on the Massachusetts Board of Nursing’s website. The official license will be received in approximately 21 business days via mail. Follow the below procedure to re-take the licensure exam. Re-register with Pearson VUE to take the NCLEX. You may register online or via telephone. If you have submitted the previous licensure application within the last 1 year, then you are not required to register again. You will be eligible to re-take the licensure exam only after 45 days from the date you took the previous exam. Re-apply with Professional Credential Services and pay the fee of $80 by completing and submitting an application or over the phone (877-887-9727), indicating ‘REPEAT’ for applicant type. Subsequent to registering with both the Pearson VUE and PCS, you will receive a new ATT within 1-2 days of approval. Schedule and take the licensure examination by contacting the Pearson VUE. The result will be obtained in about 10 days from PCS subsequent to the examination. Use the below link to verify your RN certificate online. All RN licenses in Massachusetts require renewal after every 3 years. You must complete 15 contact hours of continuing education within the specified renewal period.